Eating For Balance, Eating For Health! In today’s health-conscious society, we are constantly being bombarded with ideas of ‘perfect’ health, and the ‘foods’ to achieve it in the form of an overwhelming number of diet options. It can be quite overwhelming. As most people know, food is an essential part of our health and wellness. But proper health is much more than simply eating more fruits and vegetables. Health is understanding that food is very individual. 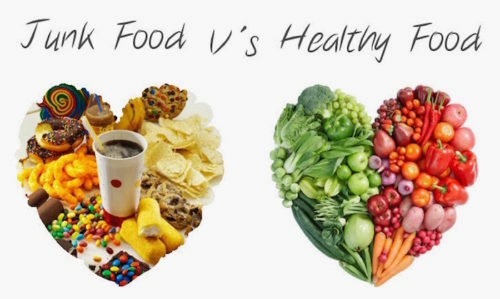 Our health is determined by knowing what food fuels us and what foods deplete us. The food we eat is what constructs our cellular health. It is said that every seven years, our entire body is replenished with new cells. Knowing that our cells are influenced by the food we eat, we are a product of the past seven years of food, we have been eating. The food we eat is constantly influencing your “energetic body” or “vital source”. With that said, it is also important to learn three informative Ayurvedic words, agni, ojas and ama. The quote, “One person’s food is another person’s poison,” takes states that depending on someone’s agni, ojas, and ama. Two people can eat the exact same thing, where one person’s body produces ojas and the other person’s body will produce ama. This all depends on the persons agni. Agni – The digestive fire. Good health and a balanced agni go hand in hand. Because ayurveda is not a one size fits all, we must look at each individual to determine what balanced agni looks like to them. Ojas – Although there is not an english term that directly translates the word ojas, the word vitality is often used to describe the body when it is full of ojas. If our agni is balanced, ojas is a natural by-product. Ama – The translation of ama is toxins. When the body is high in ama, our bodies will feel fatigue, have headaches, suffer from bad breath, constipation, etc. If our agni is out of balance, then ama is the natural by-product. Overall, the goal in eating for balance (balanced agni) is about creating strong vitality in your body and mind. In Ayurveda there are some standard principles that are appropriate for all doshas. Eat a variety of delicious foods in a mindful way. Eat three times per day. Eat when you are hungry: and stop when you are 70-80% full: If your hunger were coded on a scale between 1 and 10, 1 being famished and 10 being uncomfortably full, you would want to eat when you are at a 2 or 3, and stop eating when you are at a 7. Be mindful when you are eating: focus on the food you are eating and enjoy the flavors. Avoid eating in the car, eating while doing other activities. Avoid any and all ice beverages (water included). Have your biggest meal at lunch. This Fall, find some time to slow down and practice being mindful in everything you do. Take a moment to look at the beautiful changing of leaves, get lost in nature, run through a field of flowers, or look up at a night sky full of stars. Each day remember to be grateful for your health and always be kind to yourself. Check out DEFINE foods, our program is dedicated to educating on the importance of whole foods health. Having the tools and knowledge is the first step to living a life of optimal health and wellness. What you put into your body is of paramount importance, and with the combination of our classes you are well on your way to living a balanced lifestyle.